Despite fears of a post-referendum slowdown, Allsop Residential has reported ‘brisker than usual’ business at its auction on 20 July. As the first major residential auction to take place since the UK’s decision to leave the EU, it had been keenly anticipated as a barometer of buyer confidence in the UK property market. As it happened, those fears turned out to be groundless, with 159 lots selling for a cmbined total of over £51 million. Of those lots, 17 raised over £1 million. The largest lot of the sale was a vacant pair of mixed use buildings in West Kensington, London. With planning permission for partial demolition and redevelopment to provide two shops and eight flats, it sold for £4.2 million. Auctioneer Gary Murphy commented: “It was important that our sale demonstrated continued confidence in property, and there were some extremely positive messages from the day. 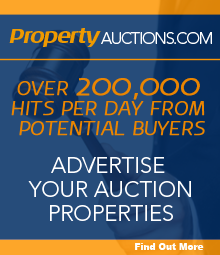 Auction buyers are keen to get on with business. Notably, we experienced a significant depth of demand for longer term opportunities. Development sites or buildings with consent for conversion drew strong competition from UK and overseas bidders. Long-term investor and developer confidence was perhaps best illustrated by the sale of the Elms Lawn Tennis Club in Stanmore, Middlesex. The site, currently producing £10,868 pa, has potential for residential development (subject to planning) and sold for £830,000 – well over three times its original guide price of £250,000. Outside of London, keen interest was shown in a 17th century, Grade I listed country house in Pangbourne, Berkshire, which eventually sold for £2.15 million. Entries are now being taken for Allsop Residential’s next auction, which will take place at the Cumberland Hotel, Great Cumberland Place, London W1 on 15 September 2016. The list will close on 22 August.